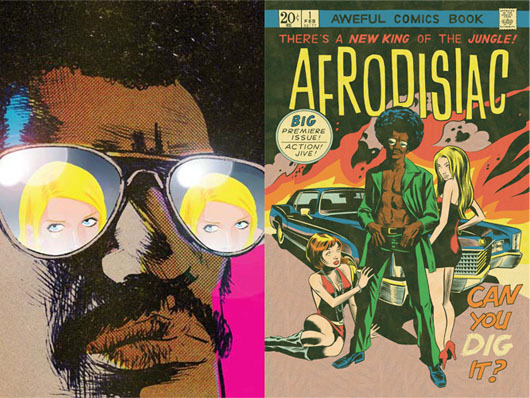 Afrodisiac, by Jim Rugg and Brian Maruca, is out of print. And it’s going for huge prices on Amazon for the hardcover. It’s probably worth it – it’s a great comic. But it’s also Eisner nominated, so you don’t have to take my word for it! To make it easier for people to read and judge for themselves, it’s now available online. I love the embedded reader, great stuff! This reminds me that I need to hurry up and order the first Black Dynamite issue before they run out. http://www.blackdynamitemovie.com/store/comics/black-dynamite-slave-island to pass up an opportunity like that would make me one jive turkey! the high-cost loans that strip assets from low-wealth tax filers.